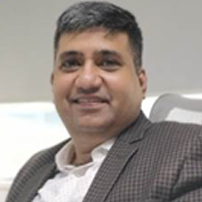 Sandeep is currently , Global Vice President & Head of Marketing , India and is responsible for CVENT’s International Marketing & Global Demand Center based in Gurgaon. He has held senior leadership positions & managed diverse portfolios in companies like Honda Motors, Canon, New Holland tractors, Microsoft, Nokia & SAP in his illustrious career over the last 25 years. He holds progressive leadership experience in P&L management, technology & solution marketing , strategy, business development & Startup Operations, Sandeep has defined strategies to build brand visibility, driven opportunity creation , built channel strategies and created distribution channels to drive multi-tier sales engines in his various roles over the years. Known for his strategic thinking and execution focus, he has inspired trust, built teams and motivated people to perform and deliver results. Sandeep received his degree in Mechanical Engineering from Pune University & he holds Executive Masters in International Business from Indian Institute of Foreign Trade, New Delhi. He is a certified coach for Design Thinking from Hasso Plattner Institut, Potsdam & has completed several management development & leadership programs both in India & abroad.